Since the infancy of laser vision correction services in the 1980s, the field has made leaps and bounds in increasing the safety and efficacy of these procedures. Today, over 28 million LASIK surgery procedures have been performed worldwide, reports the American Academy of Ophthalmology. Furthermore, 9 out of 10 patients achieve vision quality between 20/20 and 20/40, making it an in-demand choice for correcting vision. Laser correction surgery refers to a class of surgeries in which a high-powered laser is used to reshape the surface of the eye. The surgery begins with a small incision being made in the cornea, or the front of the eye. After this corneal flap is created, it is peeled back to reveal the surface of the cornea. The ophthalmologist then uses a laser to change the shape of the cornea’s surface, allowing light to focus more accurately. The result of the procedure is vision that is corrected to normal, removing the necessity of wearing contacts or glasses. 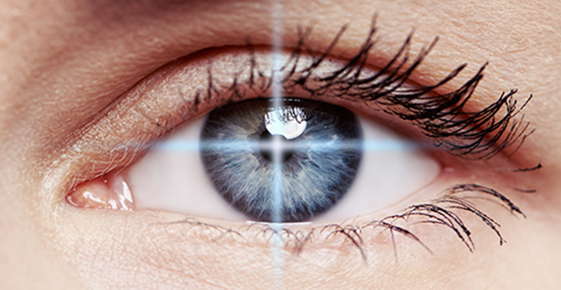 LASIK (standing for laser in situ keratomileusis) is the predominant vision correction surgery worldwide. In some cases, the ophthalmologist uses a small blade called a microkeratome to create the corneal flap. A newer procedure employs a special laser to create the flap, followed by corneal resurfacing by a second laser. This newer procedure is thought to improve physician accuracy and reduce the risk of side effects. • People under age 18. Because vision continues to change in late adolescence and early adulthood, laser surgery is not recommended for individuals under age 18. • Pregnant women or nursing mothers. Pregnancy and nursing can lead to eye changes, causing incorrect measurements of refraction that could impair surgical accuracy. • Those taking steroid medications. Certain prescription drugs are not appropriate for use before undergoing laser surgery. Discuss your options with your regular physician and eye doctor to see if your prescription medications are safe. • Those with poor general health. Individuals with lupus, rheumatoid arthritis, cataracts, diabetes, or retinal disease may be poor candidates for laser eye surgery. Overall, laser vision correction is a procedure that millions of individuals undertake each year with excellent results. Discuss your medical history and eye health with your optometrist before making a decision. Stuart, Annie. "A Look at LASIK: Past, Present and Furture." EyeNet MagazineAmerican Academy of Opthalmology.